This year’s Precarious Alliance symposium at Delaware Valley University featured keynote addresses by Robert F. Kennedy, Jr. and James Howard Kunstler. They both offered comprehensive visions of our problem and the path forward. On back-to-back nights, I just listened to two of the most important left-leaning narratives in our times. They are each powerful indictments of capitalism as currently practiced. Both express grave concerns about our planet. But their differences are more instructive than their similarities. RFK gives us an upward pointing vision. Kunstler gives us a downward one. One is an optimistic story of expansion. The other a pessimist’s prophecy of contraction. RFK articulated a deep hope that “they’ll fix it.” Kunstler thinks this is a dangerous delusion. Here’s one way to get at the difference: Will our way of life have to change in the near future? 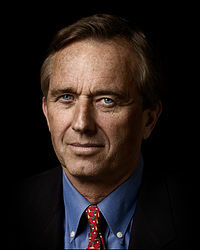 RFK implicitly says ‘no.’ Kunstler very loudly and explicitly says ‘yes.’ What I mean by “way of life” is the continuation of 200 years of industrialization and 50 years of globalization – that way of life where you go to a Walmart in Philadelphia and buy a pair of jeans manufactured in China and shipped 12,000 miles over the sea. That way of life with commercial aviation, packaged food shipped across the country, personal lives saturated with electronics connected via satellites, suburbia, etc. RFK takes that way of life as unimpeachable and given. Kunstler joyfully lampoons and harpoons it – licking his lips as he watches it totter on the brink. So, what’s it going to be: Global fast-forward to more consumption or global unwind to simpler lives? I’m reading Adam Smith’s Wealth of Nations this semester with my students. My take on capitalism as Smith presents it centers on time. The wealth of a nation is the fund of products resulting from its labor. A system of specialization, competition, and trade multiplies the wealth of a nation – as long as the people are parsimonious. It makes labor more efficient. At its core, this means we save time. We get more output per unit of time (energy/labor) input. The invisible hand is gift from the Deity, because we could never consciously plan such a complex growing economic order. It is also a useful delusion, because it compels us to restlessly strive for ever greater status and more stuff, sacrificing the leisure time that is always available to us if we ever wised up and slowed down. RFK and Kunstler would both credit capitalism for creating our way of life. And I think they’d both agree that it is also responsible for threatening that way of life. But they disagree on just what kind of capitalism poses the threat. RFK thinks that it is crony capitalism, a system in which wealthy polluters displace the common good with their special interests by purchasing political power. If we could fix just one rule, he said, it would have to be Citizens United, which allows for unlimited corporate money to enter into politics. The “incumbents” of dirty old energy are putting their thumbs on the scale – subsidies and externalities distort price signals making their products cheaper than renewables. But the real cost, the real price, is much higher. Kunstler, by contrast, thinks the problem is not crony but financial capitalism. Since at least the 1970s, we’ve been living on a bubble of fake wealth ginned up by bogus financial instruments. Banks used to raise and deploy capital for productive forces based on previous productivity. Now they spin “wealth” out of thin air, which causes massive inequalities and drives us into debt that we can’t get out of, because we can’t produce the capital to repay the loans. We’ve been living beyond our means. We are in a massive overshoot predicated on conditions – cheap oil and real capital – that no longer exist. RFK’s solution is free-market capitalism. The market system is the key to our salvation – as long as we hitch it to the common good. With Riverkeeper he’s always been working for capitalists, namely, small fishing businesses. Government needs to make sure people don’t cheat by polluting the commons (taking what is not theirs), but otherwise step back and let competition take over. One of his best lines was to add a fourth component to Martin Luther King Jr.’s recipe for social progress. In addition to agitation, legislation, and litigation we need innovation. Solar and wind power can push out dirty energy. We’ll modernize the grid so that it pays you to take power from your electric car battery during the day. Policy changes (also a kind of tech fix) will get the incentives right to reward conservation rather than consumption. The reformed free-market will usher in the Promised Land: Our way of life without the environmental harm. This is what Kunstler sneers at as “techno-narcissm” or the wishful thinking of a clownish culture unable to see that “the arc of our story is now winding down.” We can’t live like this for much longer. In fact, with a shrinking middle class and growing lower class, most of us aren’t living like that now. We can stick a fork in consumption-fueled, globalized, suburban living. Say goodbye to many of our comforts and conveniences. Kunstler thinks it’s time to have a conversation about how to navigate the wrenching transition away from our way of life into a new one. We will have to reform everything: commerce, transport, education, food, energy, manufacturing. We’ll need to downscale and localize economies. We’ll need more human labor on smaller farms. We’ll need smaller schools. We’ll need to revive rail travel. Southern cities will contract and become agrarian backwaters as air conditioning goes the way of the dodo. Population will decline. Skyscrapers will fizzle out. Small towns scaled to their local resource base will rise. So, what do you think? Is it time to fix our political system so that we can double-down on clean technology? Or is it time to plan for a post-industrial society? RFK is telling you to get politically active in our current system so that we can take it back from big money. Kunstler is telling you to imagine a new system and start moving into it. I had the great pleasure to meet both gentlemen after their talks. I told RFK that he gave the best defense of free-market environmentalism I have ever heard. I told Kunstler that technology is not that different from drugs. If he’s right, we’ll go through withdrawal symptoms in a major way. But in the end, won’t the people of that new economic order be happier and better off than we are now? I mean maybe they will actually find the time that we thought we had been saving all along. As you get older you get more pessimistic after years of watching your optimism being run over multiple times. It has become one step forward and two steps backward. The historical record should bare this out. It will be interesting to see your views on Smith’s Wealth of Nations. Capitalism I suspect has devolved into personal greed from the time Smith wrote his tome and ethics and honesty are no longer an integral part of the business model today, if they ever were. Those were essentials for the so-called “invisible hand” to play it’s part. But we are now learning that the invisible hand is being bound by the physical hands of a wealthy class that continues to get the upper hand, despite the obvious impoverishment they cause for millions. I love this. What interesting conversations. Thank you for sharing. I think it’s a little of both. I don’t think there’s a grand technological fix and i think people will need to scale back, we’ll need towns that can function on their own (urban gardens, more condensed living, more local artistry to create items of need in town, etc.) But i also think that we will use a myriad of technologies to figure some of this out like energy creation via solar, more geothermal to cool/heat homes, etc. So there will still be some modern convenience. I also think capitalism isn’t necessarily going away, but will adapt on a grander scale or rather change into something that doesn’t look like capitalism looks like today (if it doesn’t become fully totalitarian first). The overall model will change. Taylorism will be a thing of the past. We’ll bring Time into the equation of our understanding. Cosmologically speaking, we haven’t done that yet. And we’ll simply have to create new ways to exist. Part of the problem is that all of this needs to start happening now if companies don’t want to uncomfortably collapse and unfortunately, we’re seeing more denialism than change and adaptation (which is why i mention totalitarianism). Nothing wants to die including systems, but everything does. If capitalism wants to survive, it should start to adapt and change, but it’s not and likely won’t until it’s too late. 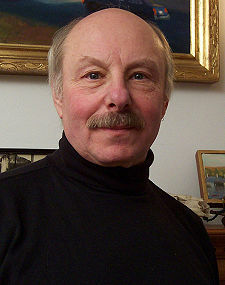 If it waits too much longer, then we’ll likely have to completely contract like Kunstler believes. And it might get really ugly. But again, these are just two scenarios. Anything is possible. I hope i live long enough to see the beginnings of what we choose to do. I just think that in so many ways, we’ve become different as humans and how we live with other humans. Hive mind, call it what you want. There’s such an intelligence in that. I can’t help but wonder if that piece of us will break free from capitalism as it exists today and create something that’s going to work (together). There are so many beautiful videos of birds flying together in flocks seamlessly, moving in unison no matter the pattern changes. Being so connected as we are today gives us a weird intelligence on that type of level. It just needs to break free of the grips of the old guard, the old mindsets and the past.